Thermoplastic Elastomers are cluster of polymers, which can be easily molded and extruded. However, it displays properties to that of a thermo set rubber. Lusida Rubber Products, Inc. is specialized in the manufacture of thermo plastic rubbers. They are processed like plastics and easily recyclable. Thermoplastic Elastomers, which are soft and flexible, can be easily stretched to any extent. The process can be repeated any number of times without hampering the structure of thermo plastic Elastomers. Thermo plastic rubber has the ability to regain its original shape. 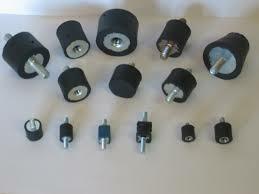 It is widely used in the field of markets as well as consumer goods. Thermoplastic Elastomers can be molded into rigid thermo plastic materials. It is best suited for bottle cap liners and sealing rings. In addition, it can be used for various automotive components, wires, cable insulation, home appliances and HVAC. One of the major benefits of Thermoplastic Elastomers is that it can be re-molded. At times, it can be easily molded, stretched and hard which is based on the mixture of compounds contained in it. The process is extremely easy without any sorts of vulcanization or mixing. It is highly durable. Both rubber components and scraps can be recycled multiple times. Another advantage of using recycled products is that it fetch you a great return in the end. It completely reduces traces of carbon foot print thereby reducing landfills. Lusida Rubber Products is the ultimate producer of rubber components sold at reasonable rate.